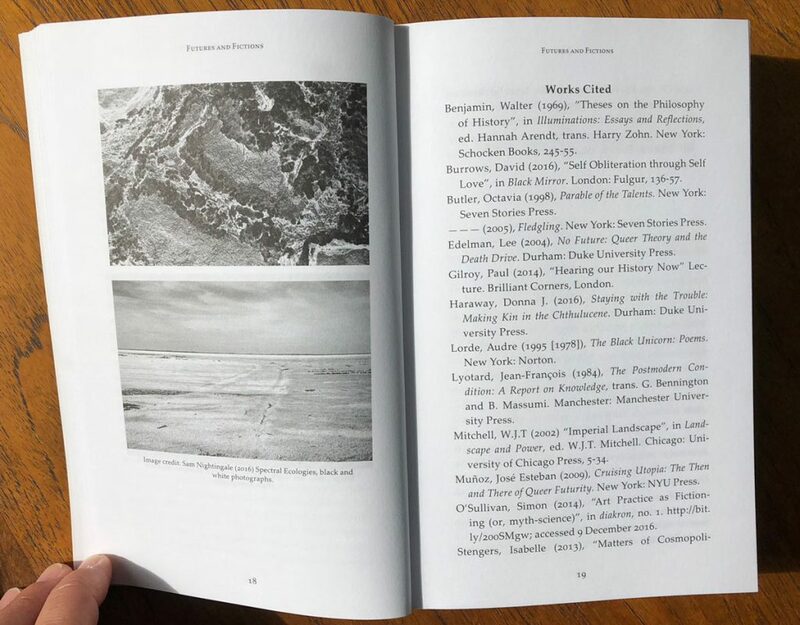 I have contributed a selection of photographic images to the book Futures and Fictions, edited by Simon O’Sullivan, Henriette Gunkel and Ayesha Hameed. 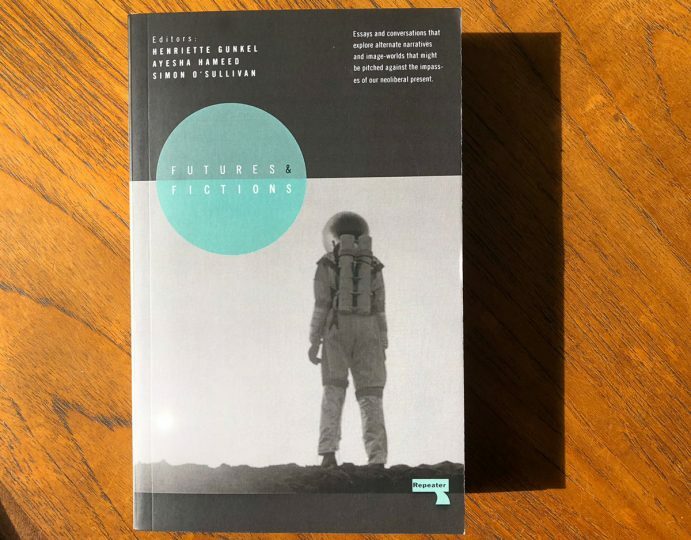 Futures and Fictions is a book of essays and conversations that explore possibilities for a different ‘political imaginary’ or, more simply, the imagining and imaging of alternate narratives and image-worlds that might be pitched against the impasses of our neoliberal present. 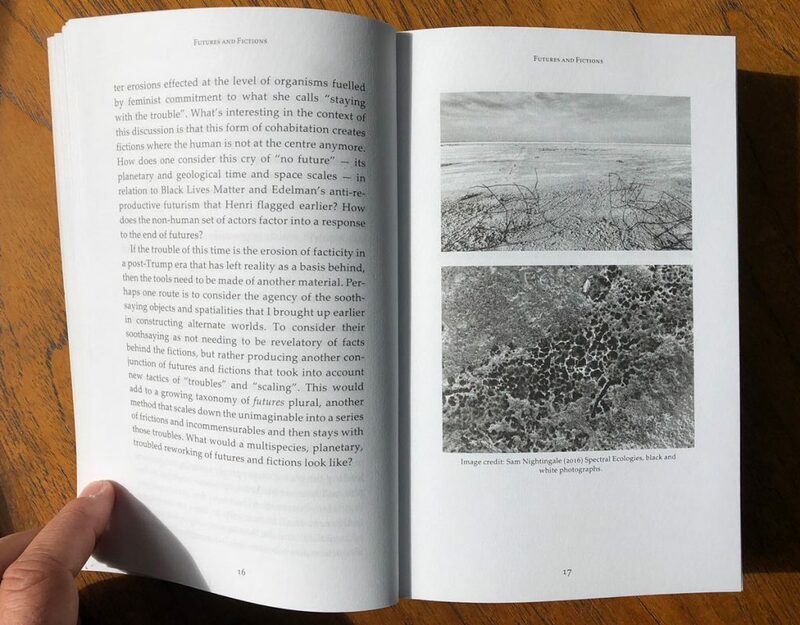 In particular, the book contributes to prescient discussions around decolonization, post-capitalism and new kinds of social movements – exploring the intersections of these with contemporary art practice and visual culture. Contributions range from work on science, sonic and financial fictions and alternative space-time plots to myths and images generated by marginalized and ‘minor’ communities, queer-feminist strategies of fictioning, and the production of new Afro- and other futurisms.